A recent study from the Melanoma Institute of Australia confirms that melanoma isn’t just the most deadly form of skin cancer — it’s one of the deadliest forms of cancer. In fact, it’s the third most common form of cancer in both men and women in Australia, coming in after prostate cancer (in men), breast cancer (in women), and bowel cancer (in both). It represents just 2% of all skin cancer cases every year — but is attributed to 75% of deaths. But the good news is, if melanoma is detected and treated at an early stage, it is highly curable. Therefore, you need to know what melanoma looks like and how it spreads, along with other risk factors and warning signs to watch out for. 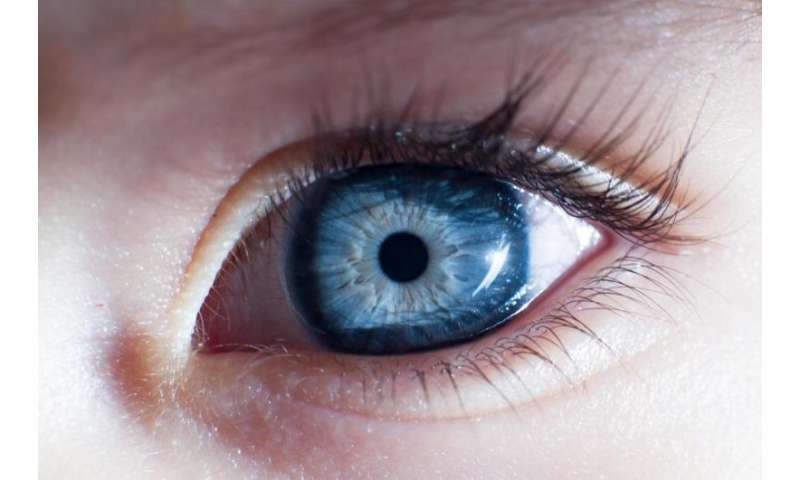 There are also other types — like amelanotic and desmoplastic melanomas — that, along with ocular melanoma, all represent their own unique challenges. In this blog post, we will look into these types of melanoma. 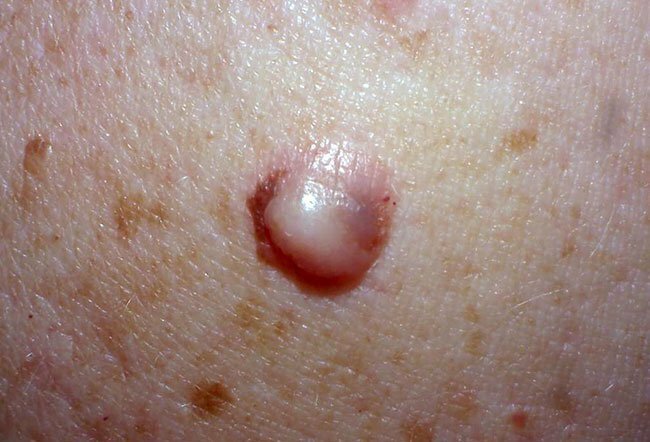 Of the four main types of melanoma, this one is by far the most common. Anyone who is at risk for skin cancer is more susceptible to it. Superficial spreading melanoma is usually found on the arms, legs, chest, or the back. Affected cells will appear and typically grow slow at first, but can spread quickly across the surface of the skin. Nodular Melanoma. 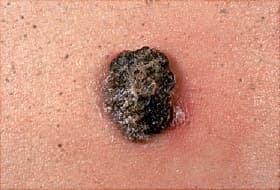 Credit: webmd.com This is the second most common type of melanoma, and anyone who is at risk of skin cancer may be affected. Nodular melanoma is notable because it tends to grow more quickly than other types. Moles are far less likely to lose their initial colour as they expand, commonly taking on a red appearance rather than the traditional black. Like superficial spreading melanoma, nodular melanoma is usually found on the chest or back, but it can also be found on the head or neck. 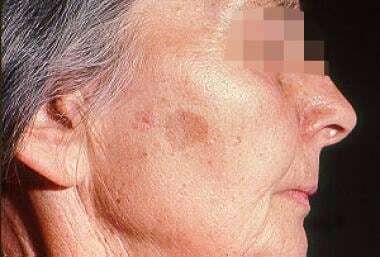 This is a relatively uncommon type of melanoma that is usually found in older people. It develops on areas that have had a lot of sun exposure over the years. So as you get older, pay close attention to your face and neck. It begins by way of a condition called lentigo maligna and at first looks like a stain on the surface of your skin. The good news is that not only is this a slow-growing type of melanoma, but generally speaking, it can be less dangerous. Acral lentiginous melanoma is, by far, the rarest type. Unlike other types, this tends to be more common in people with darker skin, particular those with black or brown skin tones. This type of melanoma is not thought to be related to sun exposure. Because of that, it usually appears in places that people might think of as odd for skin cancer — like on the palms of your hands, the soles of your feet, or even under your fingernails or toenails. There are other types of melanoma but they, too, are somewhat rare. Occular Melanoma. Credit: Medical Xpress Ocular melanoma is a specific type of the skin cancer that starts in a person’s eye. Melanoma can even begin in the pigment cells or melanocytes, as is the case with the rare (but invasive) desmoplastic melanoma. Amelanotic melanoma involves skin cells that do not make melanin as they should. Just because you don’t exhibit obvious warning signs, or just because you’re not showing signs of any one particular type of melanoma, it doesn’t necessarily mean you’re out of the woods. Therefore, only by paying close attention to what your body is trying to tell you will you be able to guarantee the best possible conclusion moving forward. Be armed with more knowledge on this life-threatening condition. Read this blog article that dives deep into melanoma’s stages of development.